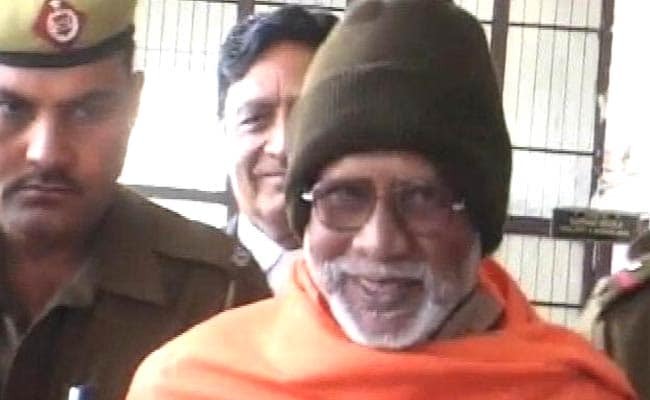 Pakistan Calls Swami Aseemanand's Acquittal In 2007 Ajmer Blast Case "Regrettable"
Swami Aseemanand was jailed in 2010 for his alleged involvement in Samjhauta blast. Islamabad: Pakistan has condemned Swami Aseemanand's acquittal in the Ajmer Dargah blast case in which three people died and 15 were injured. A special court has found him 'not guilty' of any link to the blast. Pakistan's Foreign Office summoned India's Deputy High Commissioner JP Singh on Friday to express its concern over the acquittal of right-wing activist Aseemanand, who also allegedly masterminded the Samjhauta train blasts case. In a statement, the Foreign Office said, "Swami Aseemanand had publicly confessed that he was the 'mastermind' of Samjhauta Express terrorist attack of February 2007 and had also identified a serving Indian army officer, Col Purohit (Lieutenant Colonel Shrikant Purohit), who was head of terrorist organisation Abhinav Bharat, as his accomplice in the Samjhauta Express terrorist attack." On February 18, 2007, 68 people were killed in the blasts on Samjhauta Express while it was passing through Panipat. The statement added that 42 Pakistani citizens had lost their lives. "The Government of Pakistan expects India to take steps to bring to justice all those involved in the heinous act of Samjhauta Express terrorist attack," the statement read. On Thursday, Foreign Office spokesperson Nafees Zakaria termed Swami Aseemanand's acquittal in the 2007 Ajmer blast case as "regrettable". "What we have noted is that over the last few years they had been exonerating people involved in the Samjhauta Express terrorist attack," Mr Zakaria said. "We have been pursuing the case of Samjhauta Express with the Indian government and we hope that they will share the findings/investigations collected so far in the case with us and perpetrators will be brought to justice," he said. Swami Aseemanand is an accused in several bombings including the Malegaon blast in Maharashtra in 2006 in which nearly 40 people were killed, and explosions at Hyderabad's Mecca Masjid and Samjhauta Express in 2007. The charges against Aseemanand included murder and spreading communal hatred. He was jailed in 2010 and allegedly admitted to his involvement in the series of terror attacks. He had later retracted this statement, saying it was made under pressure from the investigators.